When driving a car, we as drivers always want to be as safe as possible on the road. Unfortunately, checking mirrors is often not enough. Blind spots where your mirrors can't reach are a huge safety issue. One thing that can help make this less of a safety issue is a blind spot monitor. Many modern cars now include blind spot monitors. These monitors are sensors, often located in the side-view mirrors, that alert drivers when there is a car or other hazard in the blind spot during lane changes. Driving during morning and evening hours when the sun is just above the horizon and directly in front of you can be both frustrating and dangerous. The glare can make it difficult to see, and it can also harm your eyesight if you look at the sun for too long. Car owners who find themselves driving with the sun in their eyes often can combat the problem with a few common sense and inexpensive solutions. A good pair of polarized sun glasses is a good place to start. If you already wear glasses, look for clip-on sunglasses. If you plan on hauling any cargo in your vehicle, then you should consider installing a bed liner. Here is a closer look at some of the advantages and disadvantages of both spray-in and drop-in bed liners. Drop-in bed liners tend to be the best the most popular and affordable option, and most trucks come standard with these shells. Unfortunately, water can get trapped between a drop-in liner and the paint, and that might result in rust, mold, and unwanted smells. One major advantage of the tonneau over the truck bed is that they are believed to have no detrimental effect on the fuel mileage of the vehicle. The roll up and fold up types can be locked as well. Many people choose to buy a used car because there are quite a few perks. 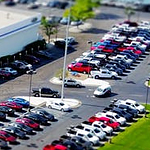 At Caspian Auto Motors, we’re here to guide you through the used cars to show you the kind of vehicle you’re looking for. Hooking up a trailer is a relatively straightforward procedure, but you still need to follow a checklist. Overlooking a single pin or safety chain could result in an accident. Here are a few basic pointers that will help you safely connect your vehicle to a trailer. Both the trailer and vehicle should be on flat ground with wheel chocks behind half of the tires. You can then lock in the hitch and attach the wiring harness. Most modern trailers also have safety chains that must be attached to posts near the hitch. Our team at Caspian Auto Motors wants to make sure you can get into one of our reliable used vehicles. Our team will inspect all of the vehicles that come to our dealership, ensuring they are in the best condition before we even list them for you to see. Our variety of manufacturers can help you to find the one that meets all of your needs.